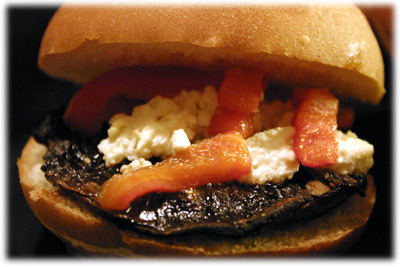 If you love grilled portobello mushrooms you're really going to enjoy this easy veggie burger recipe. 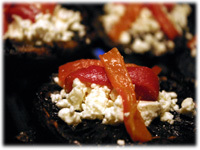 A quick marinade in red wine, balsamic and Dijon gives the portobello a subtle flavor that's enhanced by the roasted red pepper and feta toppings. Vegetarian burgers are really gaining popularity - if you've never experienced one before this is the perfect recipe to get started with. 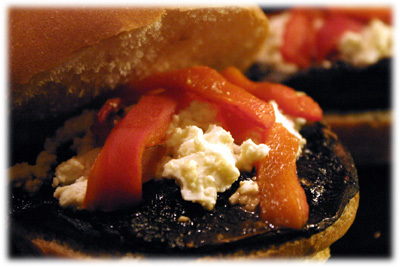 The grilled mushrooms in this recipe are very similar to this portobello mushroom burger. 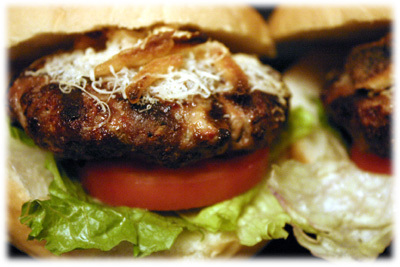 Tip: Kraft makes a Tuscan Italian dressing that works very well with this veggie burger recipe. 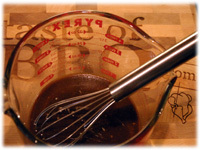 In a glass jar combine the marinade ingredients and mix well. 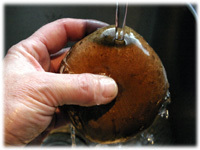 Gently wash the portobello mushrooms under running water just with your hands (don't use a brush) to move any dirt. 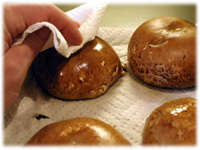 Place the washed mushrooms face down on paper towels and pat them dry gently with a paper towel to remove excess water. 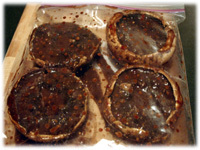 Place the dried portobello in a resealable plastic bag and pour in the marinade. Seal the bag and distribute the marinade over the mushrooms. Let them sit face up in the bag 1 - 2 hours for maximum marinade penetration. Clean and oil the grates of your barbecue and preheat to 450F - 475F. 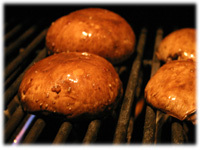 Once the grill is in this temperature range place the mushrooms face down on the grill and close the lid. Grill for about 4 minutes. After about 4 minutes lift the lid and flip each one over. 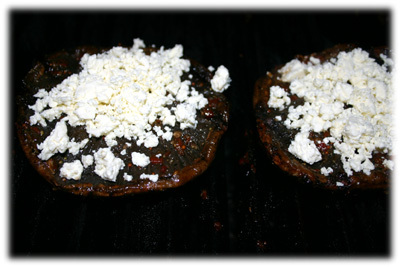 Place about 1/4 cup of crumbled feta cheese on the face of each mushroom. 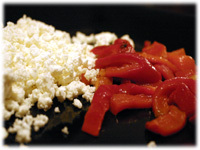 Place the roasted red pepper strips over the feta cheese. 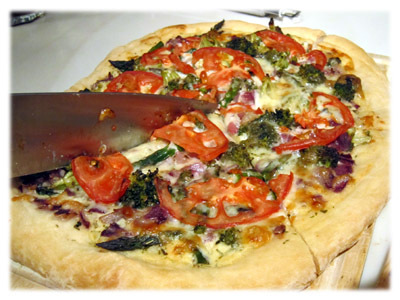 Close the lid and cook about another 6 minutes. Place on buns and serve immediately.